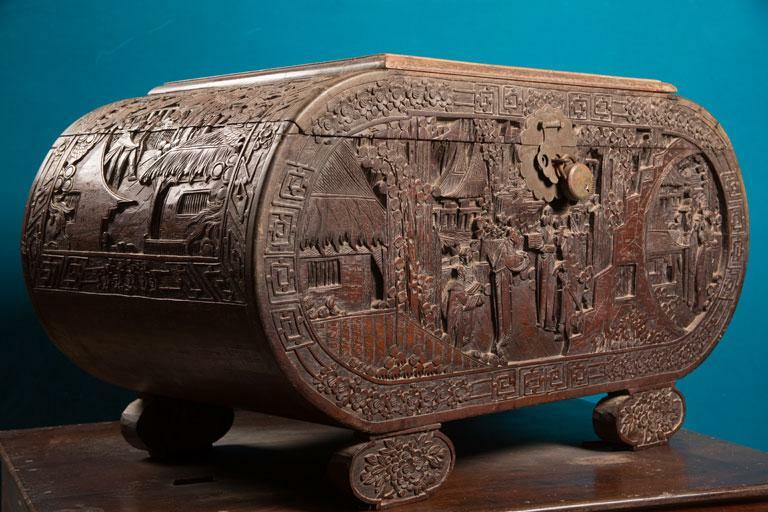 A magnificent Chinese textile box made of camphor wood. The box was used to collect textiles in ancient times. With its rich and royal carvings, it is one of the unique attractions of the Museum. It was once used in the royal families.